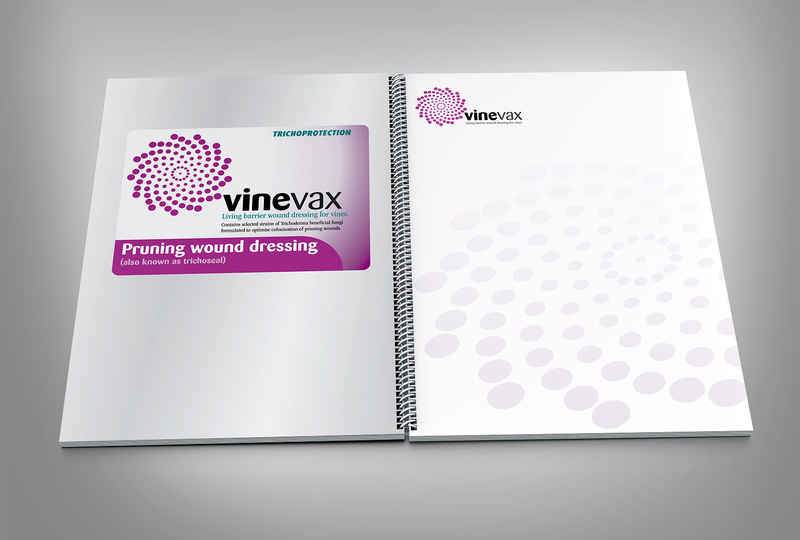 The colour theme and visual approach for the viticultural range of Vinevax product formulations was set in the presentation. As a designer I try to cut through all the marketing voodoo about design and offer my clients useful, practical help. 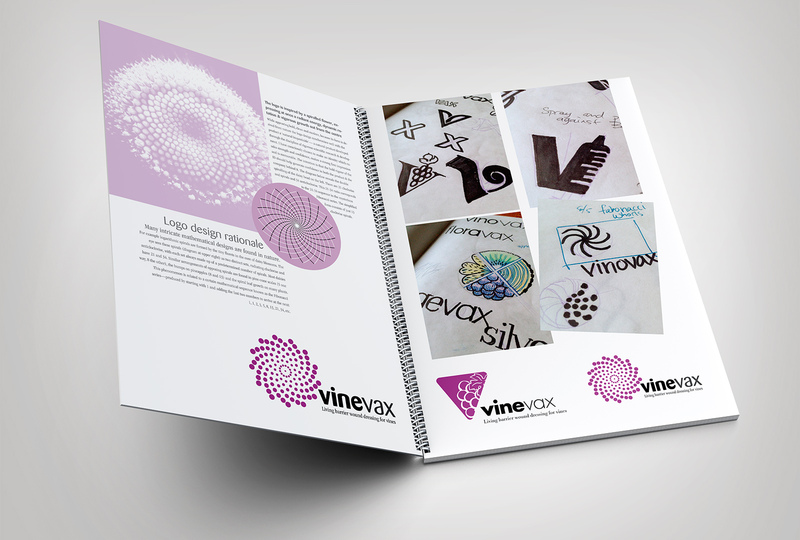 The Vinevax renaming and rebranding project was no exception. My designs in the presentation worked in practical ways, though attractive ideas, there is no passing off pretty pictures as commercial “art”. Agrimm technologies was at that time an established biotechnology company that was formed in 1984 by David Gale, FIMLS and Dr John Hunt, MSc PhD. Agrimm Technologies’ laboratories and specialist production facilities based in Lincoln, near Christchurch have grown to be a world leader in the development and manufacture of effective, safe and environmentally friendly biological or ‘living barrier’ plant protection products focussing on the Trichoderma family of beneficial fungi. 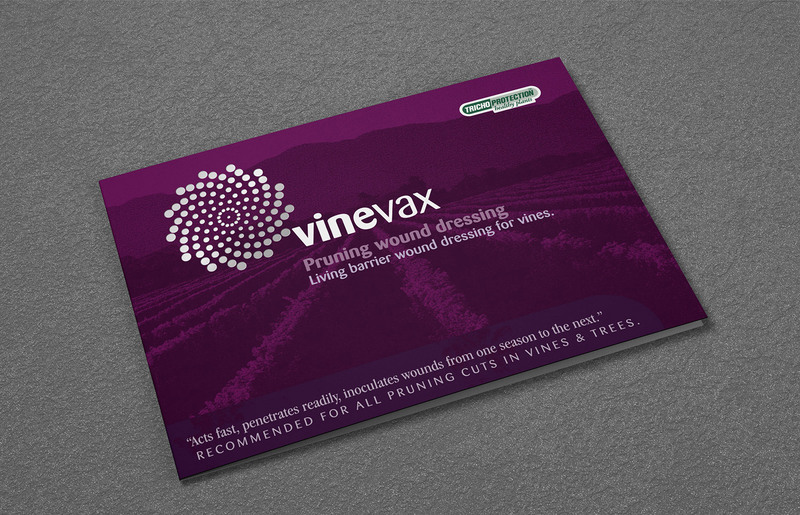 Around 2002 the results from independent field testing from a PhD study being conducted at Adelaide University proved that a formulation of their ‘Trichoseal’ wettable powder product for vines was a protective and a cost effective treatment against dieback disease. At this point Agrimm engaged the services of Christchurch design firm tattoo brand management to rename and rebrand the legacy ‘modular’ product type naming system; Trichoseal, -dowels, -pel, -ject… under which their plant protection products were marketed. …etc, the system format is an open-ended list. While a client does not speak like a designer, they, like all of us, has a fine visual imagination. What is fun in presentations is putting solid words on vague images—articulating how the workings of design will benefit the client, developing proof of concept for several ideas—that lights up a presentation. The real difference between the legacy system, the innovation in marketing communications terms, is that the Vinevax approach addresses the system of product branding from the users’ point of view. It centres on the interaction between the product and the user, the priority being to describe what the product actually does for the user, how the living barrier product ‘behaves’ biologically. That is an inherently more interesting creative direction and marketing communications direction and it engages the imagination more sensibly than the legacy focus on the physical form of the product. The ‘from the factory floor up’ method of developing product names and brand systems, rather than with an end-user focus, this is a common trait of marketing communication developed by decision makers working ‘in the business’. Highly finished product labelling and stationery draft concepts. A blend of the clarity and distinction of the new product name, and research into the client’s market, their competitors and the biology of commensalism (by which trichoderma behaves as a living-barrier to plant pathogens), plus visual research lead to several design solutions. Our recommendation to the client, approved by them in the presentation, is inspired by one of the intricate yet simple mathematical designs that are found in nature. One that is related to a certain mathematical sequence know as the Fibonacci series—as seen in the opposing spiral forms of flowers, pinecones and pineapples. Inspired by these natural forms the bold, clean and new Vinevax logo expresses a radiant shield-like energy, dynamic rotation and vigorous growth out from the centre. The dynamics of colour use are intrinsic to the process of solving graphic design problems. With thoughtful and skilled use of colour, logos make a strong first impression and the shapes that logos take are made impactful and memorable. The forms that logos take are a key aspect of a successful solution, but it is colour that is the power that holds the brand together and engages and absorbs the viewer when the brand is applied across the system and identity over diverse media. 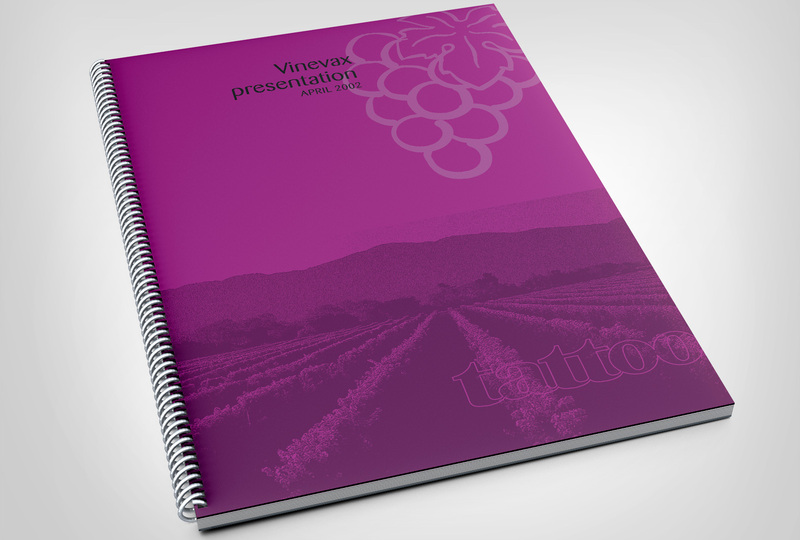 Colour, scale and weight are used to their fullest advantage, the result is a lively inviting product capabilities brochure. Used well, colour sells a product. The solution to the problem of appropriate colour for the Vinevax brand came from within the brief as did the solution to the choice of type. Agrimm is a biotechnology company and their ‘living barrier’, bio-inoculant product Vinevax actively improves the cultivation of grapes.